Here’s the definitive blueprint to get stronger… A few months after applying, 5 Steps to Build Super Strength you will notice some great gains in muscle mass and strength. However, that was served as more of a foundation than an actual guide. Building super strength is the border between insanity and physical phenomena. Change the word “impossible” to “I’m-Possible” and you will see that perception also grants power. Super strength is scientifically known as “hysterical strength” but we’ll go over that a little later. For now the question that needs answering is – how to get super strength? The three areas of focus we have to build are Body, Mind and Nutrition; these will become your tools for success. With these training tools under your belt you will begin to experience more natural strength than you ever thought possible. Together, these tips can take anywhere from 6 to 8 months to perfect. So start slow, try not to make any mistakes. You know the drill. Start lifting heavy weights, learn, apply then watch as your concrete appearance takes shape and your strength gains become cemented. Trainers cringe at the sound of Minimum Effective Dosage training, or MED, while gym-goers and New Year’s Resolutions seem to praise this method. What is minimum effective dosage and what does it do? Tim Ferris coined this concept when he launched his book The 4-Hour Body. Generally speaking, there is a minimal level at which everything operates. You boil water at 100-degrees Fahrenheit at sea level but did you know that increasing the temperature does not make it more boiled. Boiling the water for a longer amount of time won’t boil it anymore either; instead it will evaporate the water. From a personal trainer’s perspective I don’t want you to just go to the gym and breeze through your workouts. Yet, at the same time I don’t want you over-training either. So, at least once every week I want you to apply the following technique to your workout. The same minimalist principle still applies but with the addition of an effective twist. If you are truly serious about building strength than you can use this method up to 3 days per week with one day rest in between. Perform 6 sets for each exercise, 4 reps for each set except the last because the last set is for maxing out or breaching muscle failure. Rest 45 to 60 seconds in between each set… Now here’s the catch. Each set has to take a full minute (60 seconds) to complete! So your original max will have to be recalculated. …Performing the right techniques while having a qualified spotter present you should notice that anyone under any level of fitness can do this. 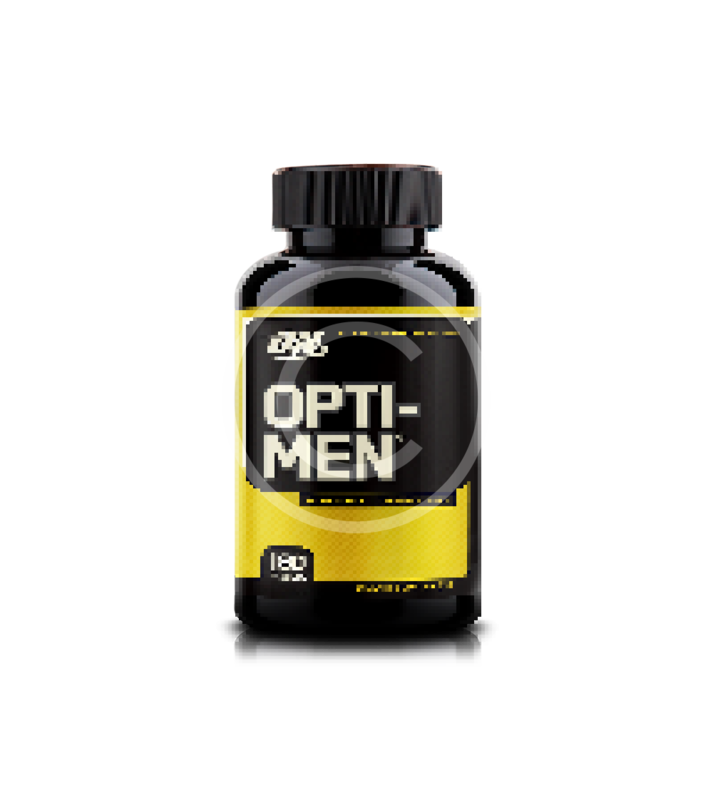 You could be in and out of the gym in 30 minutes with Minimum Effective Dosage. The effects aren’t necessarily on what you think is too much or too little, but actually placed on the range of what your body can and cannot handle. This is the minimal effort required for your body to recruit more motor units that are geared for strength, in addition to a full recovery. Blueprint: Give yourself time to adjust to such heavy demands on your muscles. Apply the minimal effective dosage treatment once every other day for a month before moving on to the next phase of training. Training to muscle failure is part two of super strength training but you must be in shape or you face a higher risk of injury. Reduce your risk of injury by staying hydrated, having a spotter present and following the nutritional advice later discussed in this article. Often you might see or hear me talk about strength and/ or “strength endurance.” Strength endurance simply represents the time it takes you to reach fatigue while strength training is exerting (close to) maximal output. Training to failure is a concept that many bodybuilders have come to know, but now it’s your time to take this a step further. Training to failure works harmoniously with the minimal effort dosage method you just read about. So at least once a week you must perform this on at least one set from each body-weight exercise, reaching muscle failure but you can also apply this to your weightlifting and weight training workouts as well. The more strength endurance you have the more you can increase your time under tension, from applying the first method and the quicker your results will be. The body-weight exercises are: Pushups, pull-ups, jack knife sit ups, squats and flutter kicks. Apply a heavier form of resistance by slowly lowering the weight as this concentrates on the eccentric phase of the lift. Having a spotter will further allow you to focus on negatives because they can help you balance the weight on the concentric phase. Your spotter should not just lift the weight for you, but actually help you to maintain balance as this will give your muscles a chance to prepare for the next rep of negatives. Negatives are usually added in after completing a set when your muscles are exhausted, this will allow you to use a weight that is 20% heavier, as appose to 1.75 times stronger when your muscles are fresh. This method is best applied right after completing the “forced reps” method. These babies are defined as assisted movements from your trainer or spotter. These are usually applied right after the onset of muscle failure. Forced reps are one of the most overused and over criticized methods of training but when done right they can provide substantial gains in strength. Forced reps should really only be used every other month because prolonged abstinence from forced reps leads to an increase in being able to push yourself through any last repetition. This rest pause technique occurs by progressively decreasing the weight upon reaching muscle failure. The idea is to perform exercises using good form until you can’t complete another full rep, then immediately drop or lower the weight for that exercise then again proceed to do as many reps as possible using correct form. If done properly, this should allow you to complete a few more reps with each decreasing weight. It’s not what you think! After performing as many reps as possible, with a barbell, you or your spotter(s) (typically two) proceed to strip or remove weight from each side of the barbell. This is completed when you cannot finish another rep or there is no weight left on the bar. Some proceed to lift with no weight on the bar but this transitions from strength endurance to plain endurance. This is another post set exercise, after you have breached muscle failure and can’t complete another full rep, perform partials. These are split into fractional increments of a whole. Meaning the number 1 equals one full rep, ½ is half a rep and so on. This method increases strength throughout different ranges of motion and various phases of the lift, similar to isometric training, yet this method can be used with both eccentric and concentric muscle actions. Super sets are performed immediately after completing another set of exercises where little-to-no rest is taken between sets. To experience the most benefit from supersets you should position yourself, weights or exercise equipment in such a manner that it does not take much time to transition between sets or exercises. The three main forms of super sets are the antagonistic, pre-exhaustive and giant super sets. This challenges general muscular endurance: Antagonist means to go against or where a muscle’s actions counteract those of another muscle; this is performing antagonist muscle groups within the same superset. Examples of this would include performing leg curls and leg extensions or bench press followed by barbell rows. Similar to circuit training, perform a tri-set, otherwise using three or more exercises with no rest. Blueprint: Although strength endurance training can enhance your cardiovascular system, these types of workouts are in no way cardio or related to it. Cardio refers to workouts that target your heart and heart rate. The workouts I just described are targeting motor and muscular growth and development. These are tools that will help you increase your time under heavy tension which will help you build strength. Strength and Strength Endurance go hand in hand… If you’re highly focused on building strength why should you NOT do or STOP all cardio? Although cardio has been proven to promote lung, heart and circulatory health it will diminish your strength and muscle mass. Optimal blood flow is only part of the equation. While cardio does stimulate a full circulatory response by forcing more blood and nutrients to your muscles it gives your muscles too much definition… What? Yes, toned muscles will come in time but if this happens too early it makes it difficult to build density in your muscle fibers. If for some reason you must do cardio, add a weight vest or some other type of resistance or weighted structure. Over time, as your strength endurance begins to increase by applying super sets, rest pause, partials, forced reps and negatives you will notice that any type of cardio activity you perform will be easier. These workouts don’t target your heart or lungs but still give them a challenge. I almost forgot to mention that cardio training results in wear and tear of the knees, ankles, hip and other crucial cartilage, bones, joints, tendons and ligaments. When you hit your super strength goal, aim a little higher, then once you pass that goal it is okay to incorporate more cardio into your routines. Give yourself about 3 months of heavy lifting before considering adding cardio to your workouts. Building muscle and strength occurs from micro-tears to your muscle fibers. These micro-tears open up allowing more protein and carbohydrates to be absorbed directly into the muscle fiber, thus upon recovery your muscles are not only stronger, but perhaps bigger and more dense. When you throw cardio into the mix your body is depleting all forms of energy such as calories, protein and carbohydrates and dispersing it throughout the entire body, instead of the muscles you just targeted. Some professionals find that exercising on an empty stomach has been shown to increase performance and how well your body absorbs post workout protein, however I gained 20 pounds of lean muscle mass in my first month of building super strength by applying these methods and consuming protein before, during and after my workouts. I stayed away from cardio but saw an increase in vertical jump, acceleration, full running speed, agility, muscle size, stamina, endurance and strength of course. Avoid cardio like the plague and flush any fluff you have ever heard about the anabolic window down the toilet. This is the truth about protein. There’s no doubt that nutrition plays a major role in fitness but for your average gym-goers the ratio of nutrition to exercise is higher. They focus more on nutrition and still see benefits. However, once you start building strength and muscle your metabolism and hormones will increase meaning you will be able to get away with eating more junk. This is not wise! It’s a fact now, yes, but everything comes back around. Eating junk, plain and simple will shorten your lifespan. The more junk you eat the less time you will have on this earth. The healthier you eat the more time you will have to get super strong. But have you ever wondered how gladiators who were documented slaves of society, got to be so big and cut? They probably were not as ripped as Hollywood makes them seem, but they were no doubt big and more defined than your average person, right? Even this was possible with eating nothing but scraps. Now imagine what you can accomplish by eating the right foods at the right times. For the first month, calories from protein and carbs are going to be your best friend. Eat healthy complex-carbs like green vegetables instead of white carbs. During that first month try to avoid pastas, starches and whole grains as much as possible. Eat nothing but vegetables, fruits and lean meats. If you have or want to buy protein shakes, that’s fine. Complex-carbs are more nutrient packed than any other form of carbohydrates. When your body decides to use them for a source of energy it is essential and convenient that it gets hit with plenty of other vitamins and minerals that are only found in complex carbs. Now, if you’re like me and truly serious about gaining size and building strength then you would be complaining about anything less than 1.5 times the body-weight in grams of protein per day, correct? Well, take your bodyweight then multiply that by 1.5 (e.g, 174 x 1.5 = 261.) Oh wait a minute, the 50 x 25 x 25 diet plan actually has more protein? Yes, now all of my needs are based on this equation and I will get all my nutritional needs from a protein based meal or meal replacement. If you decide to go this route its easier because you won’t have to count fat and carbs but you will only be eating poultry, lean meats, plant based protein and protein shakes, which may be difficult for some people. It’s your decision. Your bodyweight plus an additional half in protein is the number athletes and fitness competitors use to gain weight, which is semi-proportional to building strength. Now along with getting calories from the basic nutrients like protein, carbs and fat there are healthy supplements you can take to help you build supernatural strength. These supplements are not organic or all natural so consult with your healthcare professional before taking them. 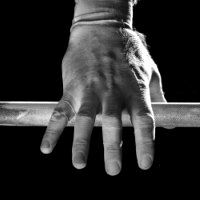 Does glucosamine help to build strength? Glucosamine will help repair and build stronger connective tissue like cartilage, bones, ligaments and tendons which is essential when you lift heavy weights. Building your connective tissue provides a healthy and stable environment for your muscle to grow in. Glucosamine is also found and made in the body, but people who are highly active create demands for this substance which may not be met. B.C.A.A. 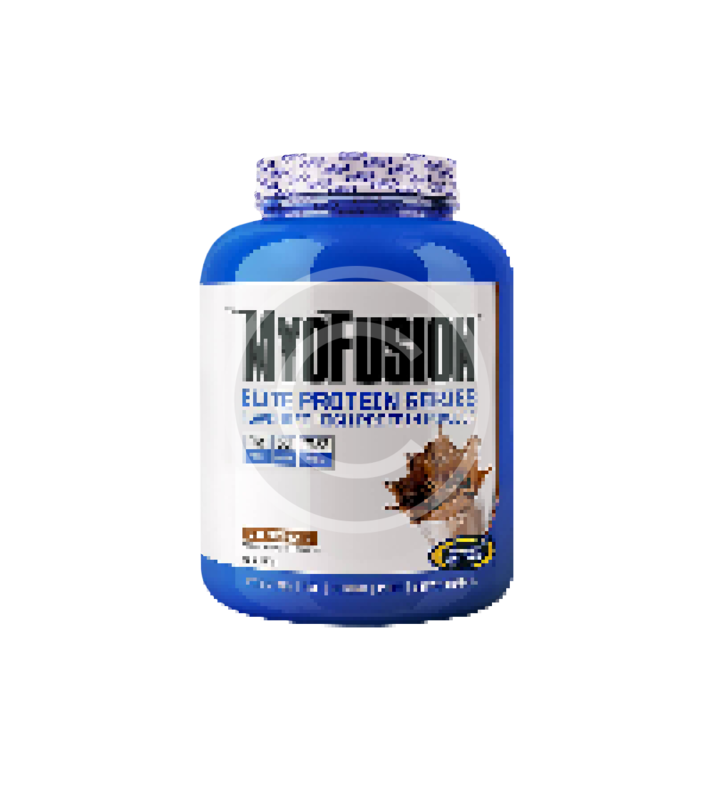 makes up almost a fifth of all muscle protein in the body. Branched chain amino acids contain leucine, isoleucine and valin which are essential nutrients that the body cannot produce and must take in from the diet. B.C.A.A. are not metabolized by the liver like regular amino acids, but instead they enter the bloodstream and are directly taken up by muscle tissue for repairing, energizing or building muscle. More benefits of branched chain amino acids are: supporting insulin sensitivity, building super defense mechanisms that fight against oxidizing molecules like free radicals, maintaining muscle mass with aging and supporting a healthy immune and nervous system. Blend all your ingredient together until your proffered texture is met. When you have reached your strength goals (and then some) alter your meal plan to meet the following standards: 50 x 30 x 20, where 20 is the number of grams for fat. Public records or even a quick Google search of the terms “hysterical strength” or “adrenaline strength” will show you stories of people reaching phenomenal states of super human abilities. Pure surges of adrenaline: fear, anxiety and/ or anger will impact your performance. This is why people listen to music in the gym, because it gets their heart pumping while unleashing the rage of the Rap, Rock or Heavy Metal cultures. Whatever your method for getting your adrenal glands pumping, use it and master it. Adrenaline is a neuro-transmitting hormone, meaning it acts when the brains tells it too. This method establishes a better mind to body connection but what about the spirit to mind and spirit to body connection? Apply some time to learning and understanding the concepts of Zen, meditation or both. It can’t hurt. In fact, mixed-martial artist Bruce Lee is an avid practitioner who focuses on both. This is what made him Legendary! Start applying even a fraction of these methods by focusing on every muscle fiber during every rep of every set. This may make the weight seem heavier but this is just a side-effect of “What you focus on will grow, what you think about will expand and what you dwell on will determine you destiny.” Practicing meditation will help to clear your mind and relieve stress so that these obstacles won’t influence your success. If you’re not Buddhist or would not like to practice Zen, like me I will sit and pray for 5 to 15 minutes after meditating so that my spirit feels uplifted. Adrenaline is secreted by the adrenal gland which is positioned deep within your abdomen, on top of your kidneys. Although there have been no reports stating that meditation actually improves its functionality, Harvard Health indicates meditation as a way to balance the functions of the pituitary gland. Both the pituitary and adrenal gland effect the endocrine system and the endocrine system is what’s responsible for regulating the metabolism, growth and development, tissue function, sleep, mood and many other functions. These mental and spiritual exercises will only give you more of an edge that you didn’t have before. Feel free to search for alternative mental and spiritual exercises that help build the mind, body and soul. How to Get Super Strong? …What is strength? Strength has many different meanings for many different circumstances. In this scenario we are referring to force, which is mass multiplied by acceleration or F=MA. This little equation that you might remember from grade school simply means that the bigger and faster you are, the stronger you are as well. That’s great and all but if you’re not trying to bulk up, looking like you just won the Strongest Man Alive Competition then there could be a problem. On the other hand the same concept applies for winning the Fastest Man Alive Award. Wherein lays the balance? Looking back to when I was a freshman in high school all my teammates from football and wrestling laughed at me when told them of a theory I came up with: that if we added 2.5 lbs to our max on lifts every other day, well by senior year we’d be in business. For example; my freshman year I was maxing out on bench at about 160. So by adding 2.5 lbs every other day for four years I would have been benching an absurd 1,985 pounds. They talked me out of it, but ending my junior year to the beginning of my senior year I decided to apply this concept. It took me 8 months to naturally take my max bench from 235 to 355, that averages 15 pounds per month. Just on bench. My stats increases were: Dead-lift 405-660. Squat 315-565. Power Clean 185-275. Dumbbell curls 60-135 (ea. arm). Weighted Triceps Dip w/ 100-380 lbs. Weighted Pull up with 70-250 lbs. 40 yard dash 4.9 – 4.426 seconds. The dashes separate starting stats – to ending (in lbs). A key to applying everything you just learned, what people thought I was crazy for, was that I slowly increased the amount of time I worked out each day. I went from once during my lunch break to showing up early to school, staying after school then eventually all the above plus waking up and working out and going to bed an working out. By the time I hit my peak I was working out 7 times each day. Lifting heavy weights. Maxing out at least twice per day… I had gained a total of 36 pounds of lean muscle mass and my body-fat percentage was 3.4%. Why is this relevant or why should you care? Because this is how to get super strength. Go back to the beginning of applying the minimum effective dosage training. After your body gets used to that method, meaning you become less sore and your muscles have full motor control of the weighted movements then move on the training to failure. After your training to failure phase simply go back and repeat the process but by working out every day except weekends (alternating upper body and lower body with days). Then twice a day (upper body twice in the same day, lower body twice in the same day)- MED in the morning then train to muscle failure at night by still applying the same tips I told you about. Give this 6 to 8 months. I was crazy then, I replaced half of my sleep time with meditation and ate 6 to 8 times per day! Just apply the tips I told you about and slowly start to increase your routine as your body begins to adjust, you don’t have to go to the same extremes as I did. I gained 20 pounds of lean muscle in my first month by applying everything you just read about. In all I went from 162 to 198 of lean-dense muscle. Everyone I trained with this method gained all the capabilities as I did, we all noticed the longevity of our results as well. Contact Body By Bell for your own custom Super Strength Workout and Nutritional Meal Plan. Pain Relief without Drugs or Surgery. Amino Acids and Proteins for the Athlete: The Anabolic Edge. Durand, R.J., Castracane, V.D., Hollander, D.B., Tryniecki, J.L., Bamman, M.M., O’Neal, S., Hebert, E.P., and Kraemer, R.R. (2003). Hormonal responses from concentric and eccentric muscle contractions. Medicine and Science in Sports and Exercise, 35 (6), 937-943. Kang, J., J.R. Hoffman, J. Im, B.A. Spiering, N.A. Ratamess, K.W. Rundell, S. Nioka, J. Cooper, and B. Chance. Evaluation of physiological responses during recovery following three resistance exercise programs. Journal of Strength and Conditioning Research 19(2): 305-309, 2005. Kraemer, W.J., N.A. Ratamess, J.S. Volek, K. Häkkinen, M.R. Rubin, D.N. French, A.L. Gomez, S.A. M. McGuigan, T.P. Scheett, , R.U. Newton, B.A. Spiering, M. Izquierdo, and F.S. Dioguardi. The effects of amino acid supplementation on hormonal responses to resistance training overreaching. Metabolism 55(3): 282-291, 2006. Hoffman, J.R., N.A. Ratamess, C.P. Tranchina, S.L. Rashti, J. Kang, and A.D. Faigenbaum. Effect of protein-supplement timing on strength, power, and body composition changes in resistance-trained men. International Journal of Sports Nutrition and Exercise Metabolism 19(2): 172-185, 2009. What Are the Effects of Weightlifting?